Corvina is a Spanish name used for many members of the croaker, drum, and weakfish families found throughout North, Central, and South America. 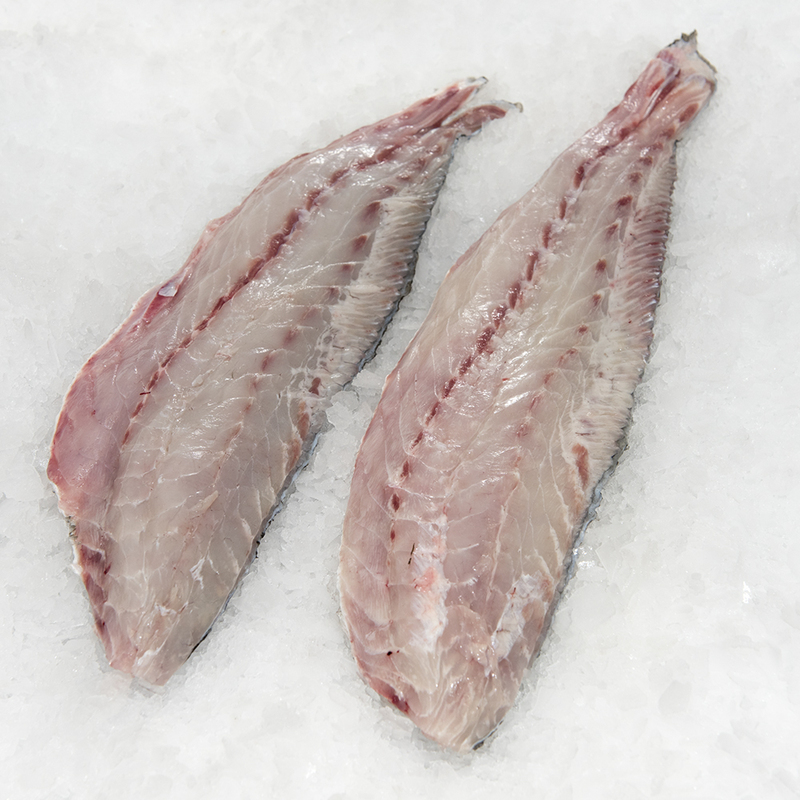 This species of corvina, called whitemouth croaker, has golden skin color and a very clean taste. This species of corvina is found in the western Atlantic from the Caribbean to South America. The majority of harvest of this corvina occurs in Argentina, Brazil and Uruguay. These populations are generally overfished and subject to heavy fishing pressure. The status of the stock in Mexico is unknown, but Mexico is at the far northern extent of its range where the population is likely smaller and may be more vulnerable to fishing pressure. Corvina are generally harvested with trawls or gillnets, both of which can have substantial amounts of bycatch, but can also be harvested with seines and hook and line, which have lesser environmental impacts. This corvina is typically found over muddy bottoms, which are more resilient to the impact of trawls. Its scientific name is Argyrosomus regius (Asso, 1801) and it belongs to the family of Sciaenidae. Meagre can reach a length of over 2 meters and a weight of over 100 kilograms. Meagre is a benthopelagic oceanodromous fish that usually lives in depths up to 300 meters, in reefs or even shipwrecks. It can, however, also often be met in relatively hallow seabeds, with rocks, sand and seaweed beds, while it is not uncommon in brackish waters. It is spread throughout the entire Mediterranean, the Black sea, and the Eastern shores of the Atlantic ocean while it recently migrated to the Red Sea via the Suez Canal. Meage is a carnivorous fish that feeds mainly on smaller fish (clupeids and mugilids) and swimming crustaceans. Can be cooked in various forms (whole, loins, fillets) grilled, baked or boiled in a fish soup. Meagre has a very tasty white, juicy flesh.